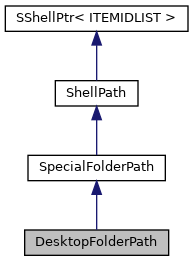 Shell folder path of the desktop. Definition at line 991 of file shellclasses.h. Definition at line 993 of file shellclasses.h.